Legacy Equity Realty Capital III, Inc. (Legacy Fund III) is affiliated with a boutique and successful commercial real estate entity sponsored by Legacy Equity Partners, LLC (“Legacy Equity Partners”), a limited liability company owned and managed by Keaton G. Merrell and James F. Pierson III. Legacy Equity Partners will serve as the advisor of the Fund (the “Advisor”). The Fund’s goal is to provide its investors with above market returns through direct opportunistic investments with “Gold Standard” operating partners in multi-family, industrial, retail and office properties primarily in Arizona and the Southwest region of the United States. The fund will have significantly lower fees than similar offerings. Legacy Fund III invests equity with its “Gold Standard Partners.” Gold Standard Partners are proven real estate companies that Legacy Equity Partners, LLC. 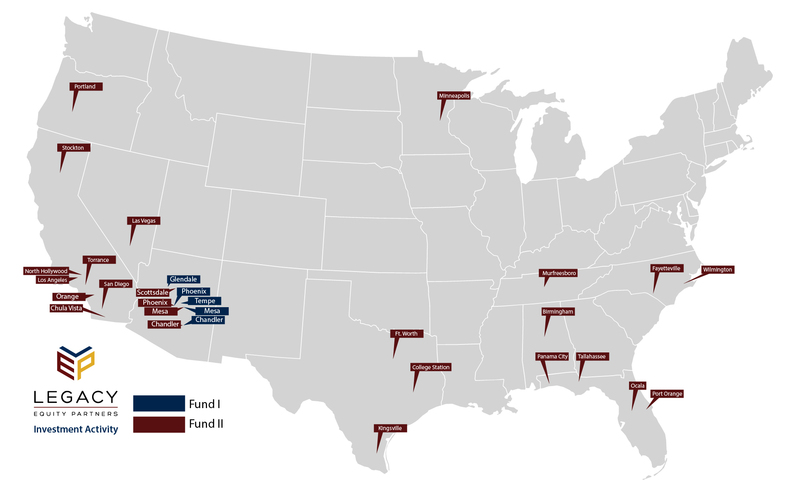 advisors to Legacy Fund III has had relationships with in commercial real estate for a minimum of ten years in Arizona and the Western United States. Diversity of Investments – Legacy Fund III has the ability to make investments as equity, preferred equity, co-invest equity, mezzanine or 1st position debt on multifamily, retail, office, industrial, hospitality or self-storage projects.